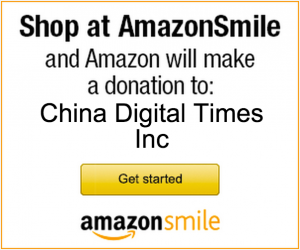 Wenzhou Internet Police: May We Follow This User? 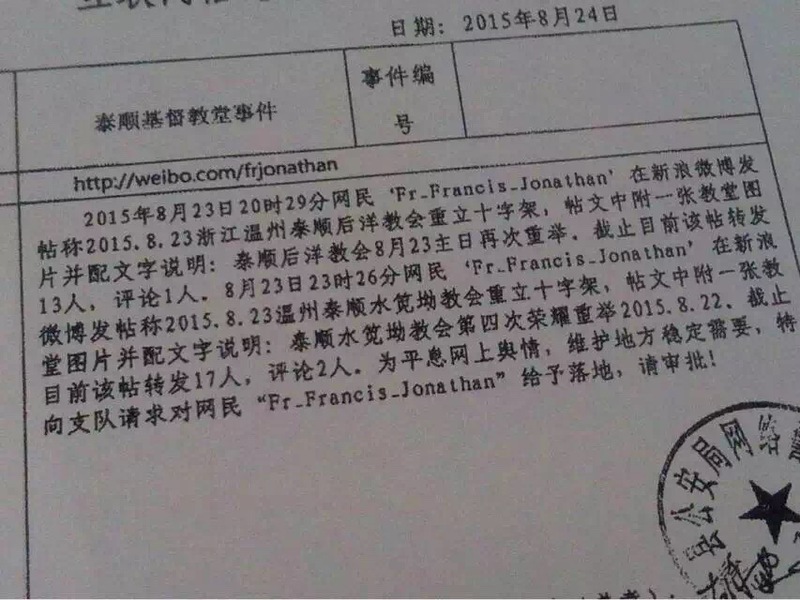 On August 23, 2015 at 8:29 p.m., Internet user Fr_Francis_Jonathan published a post to Sina Weibo stating that Houyang Church of Taishun, Wenzhou has re-erected a cross. 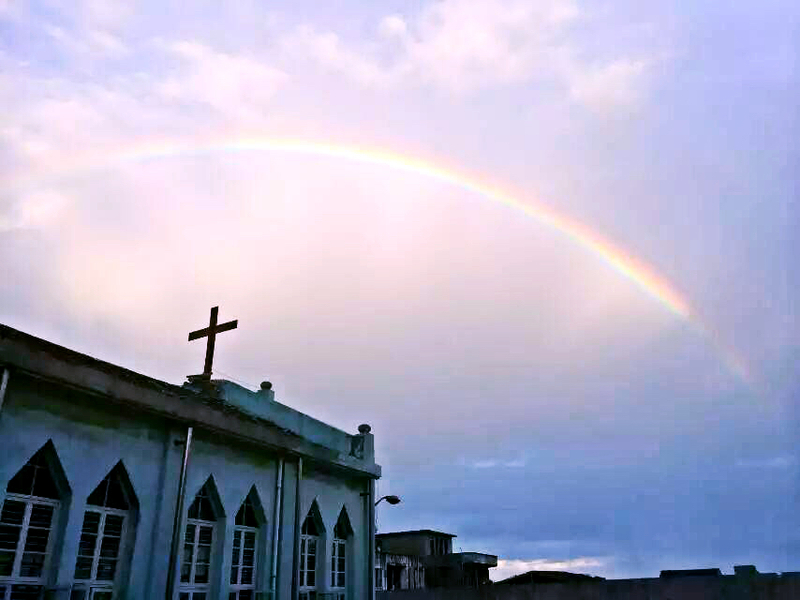 The post includes a photo of the church and the accompanying text “Houyang Church of Taishun raised [the cross] again on the Lord’s Day, Sunday, August 23.” To date, this post has been reposted by 13 people and commented on by one person. On August 23 at 11:26 p.m., Fr_Francis_Jonathan published a post to Weibo stating that the Shuijian’ao Church of Taishun has re-erected a cross. The post includes a photo of the church and the accompanying text “Shuijian’ao Church of Taishun raised [the cross] in glory for the fourth time.” To date, this post has been reposted by 17 people and commented on by two people. In order to quell online public sentiment and maintain local stability, we specially ask the branch to grant us permission to conduct an on-the-ground investigation of Fr_Francis_Jonathan. Please grant our request! 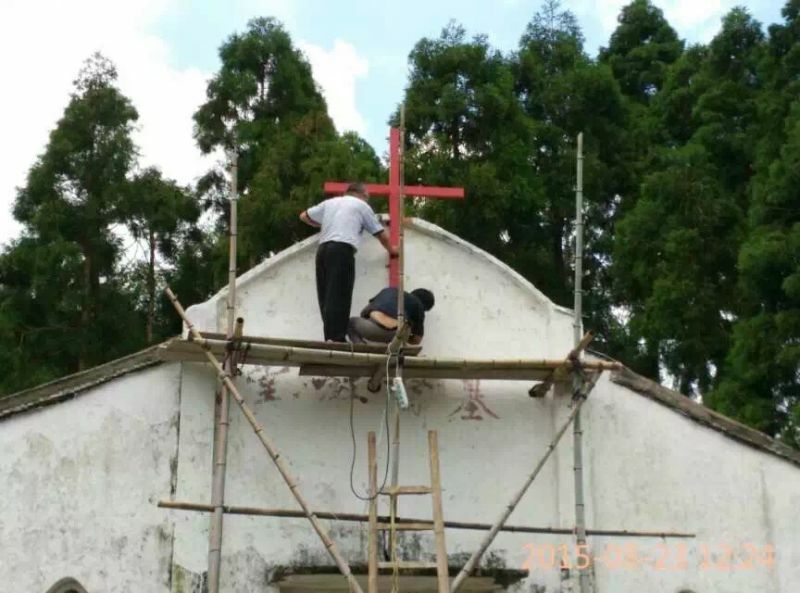 Over 1,200 crosses have been removed from churches in Zhejiang since 2013. A provincial official recently justified the ongoing campaign as a safety measure. 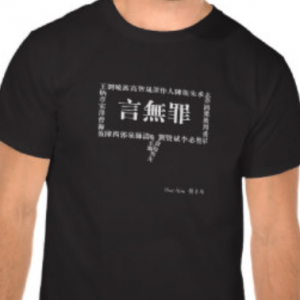 Taishun County, where the churches in @Fr_Francis_Jonathan’s posts are located, is a part of the prefecture-level city of Wenzhou, Zhejiang, nicknamed the “Jerusalem of the East” for its long-standing (and growing) Christian community. Resistance to cross removal lead to clashes with the police in July 2014.